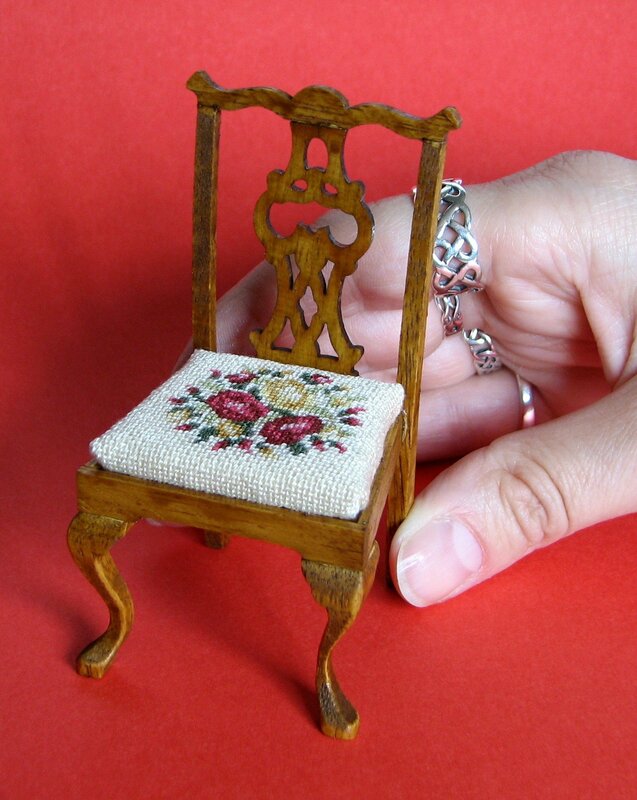 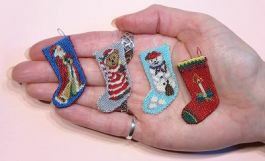 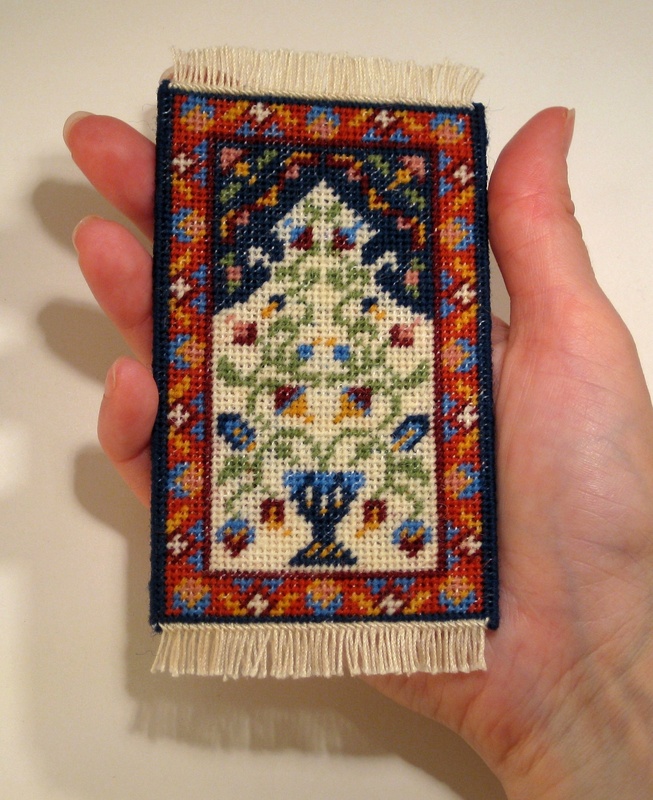 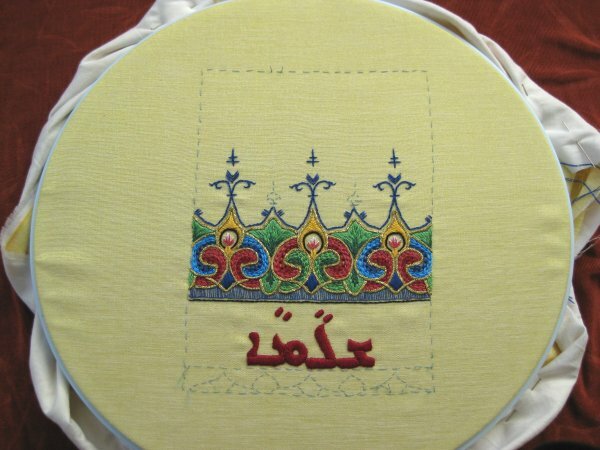 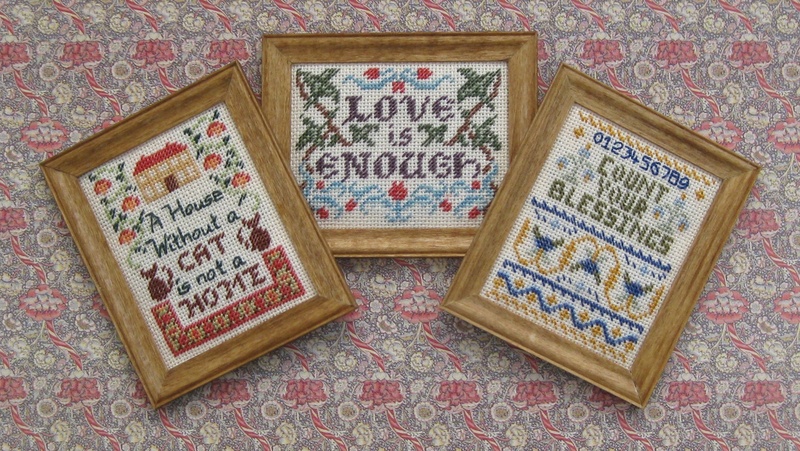 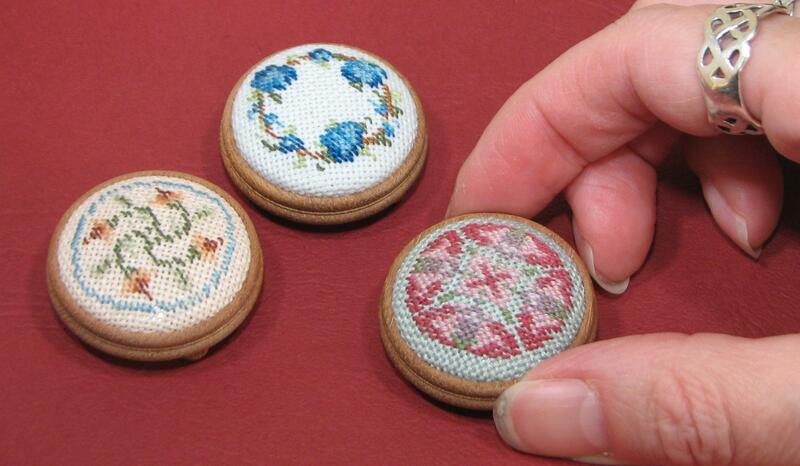 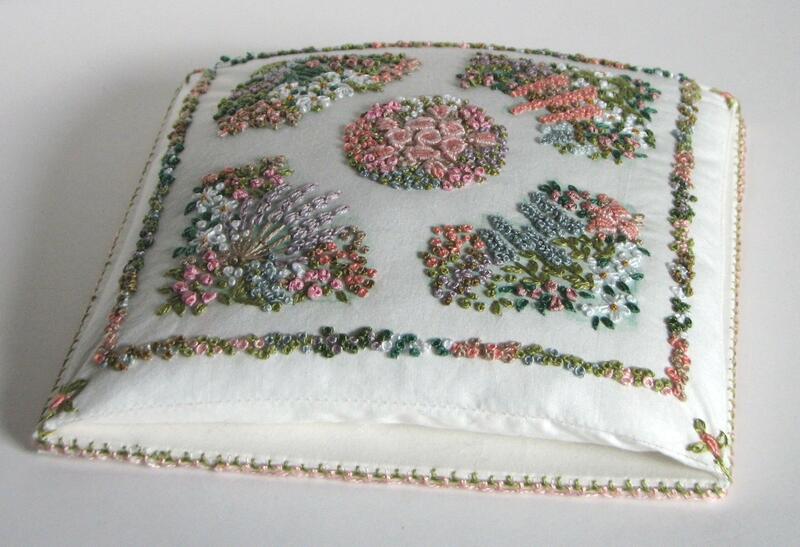 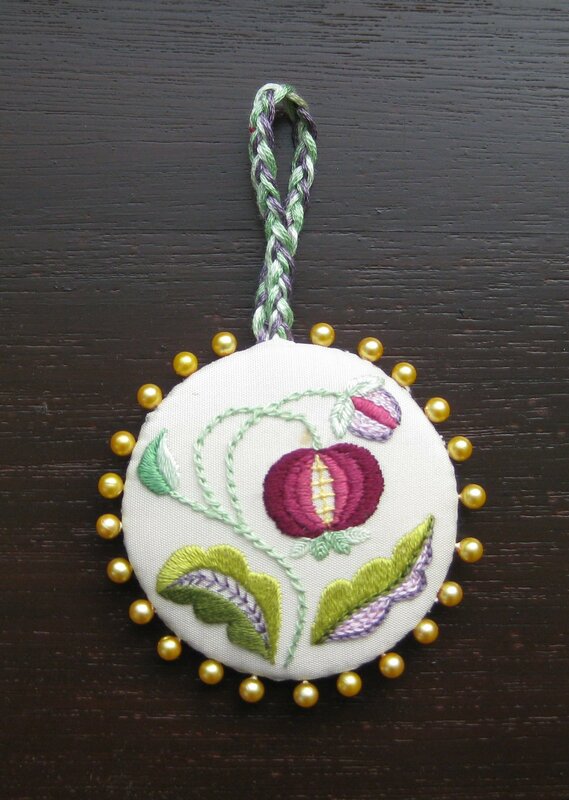 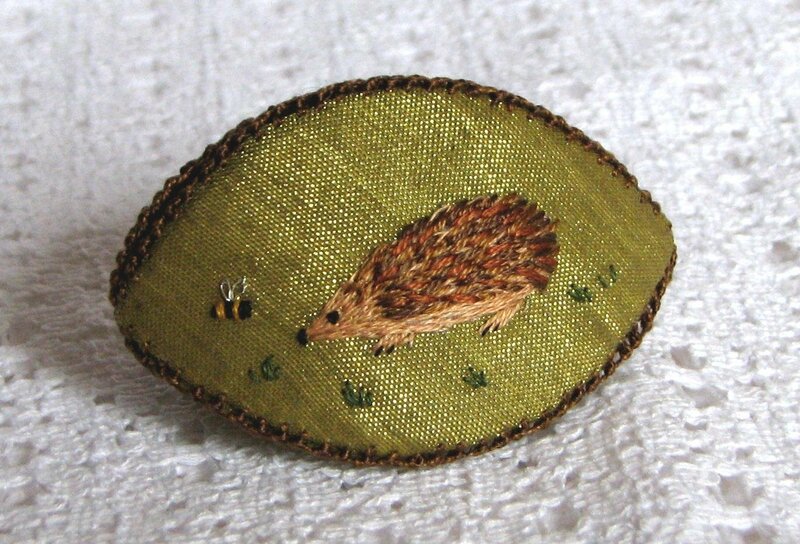 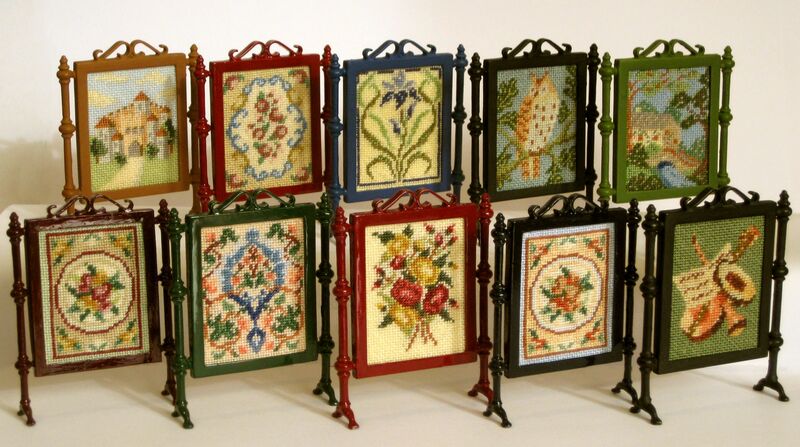 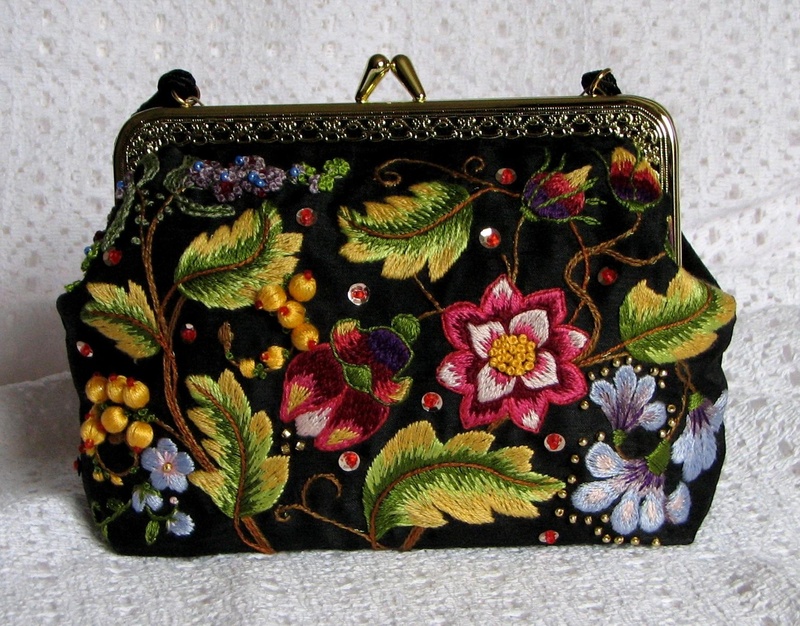 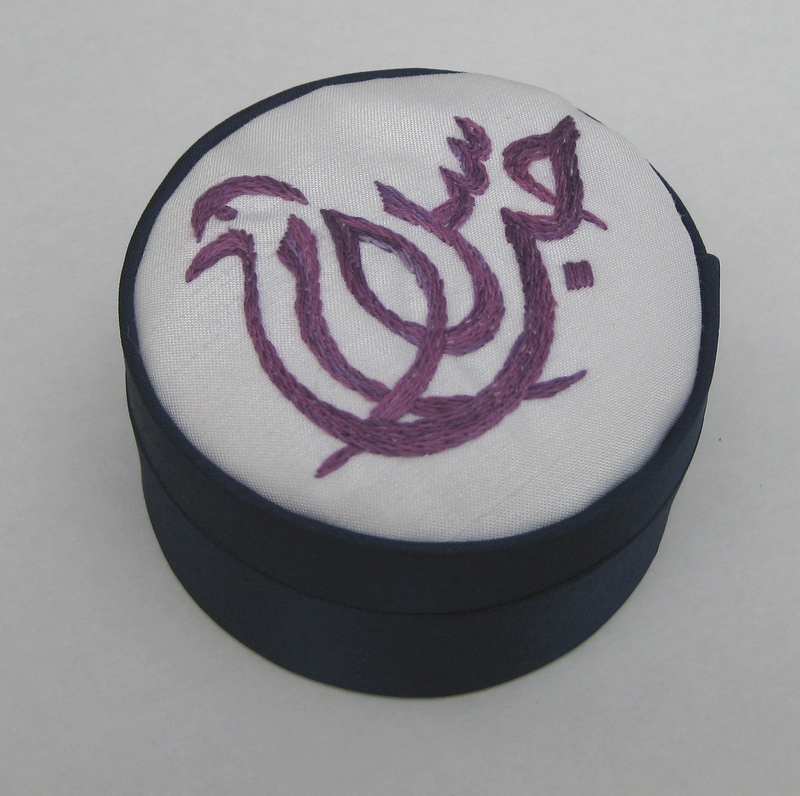 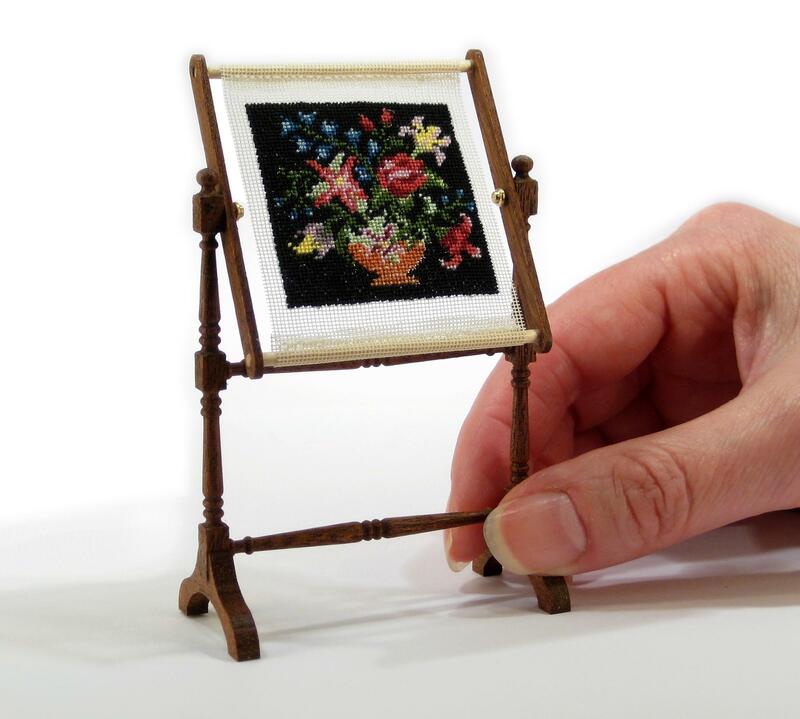 Miniature needlepoint for you to drool over! 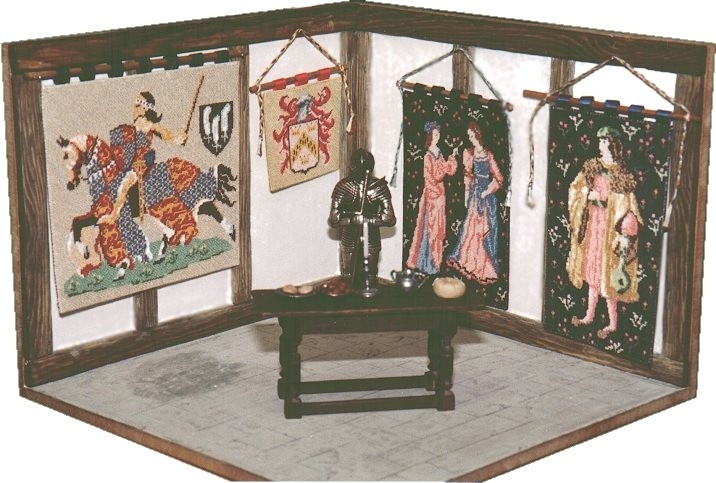 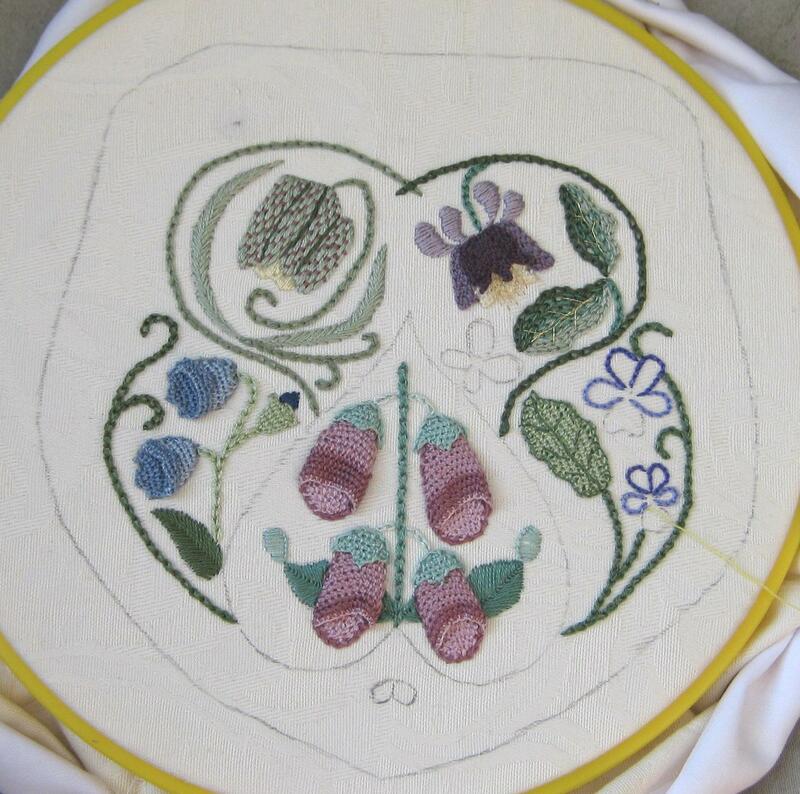 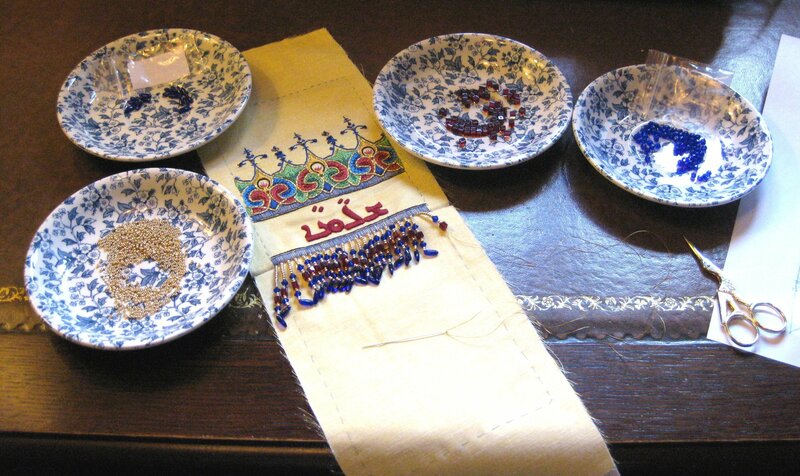 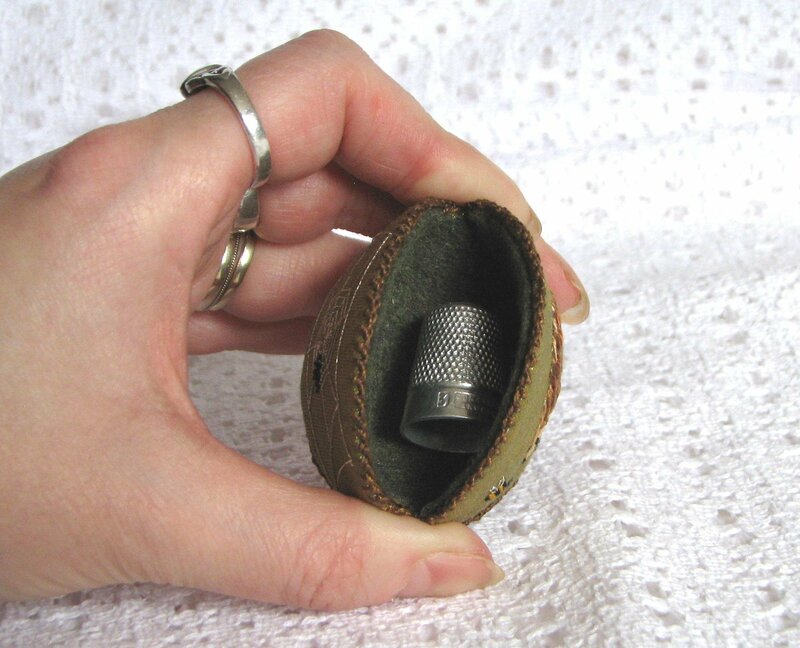 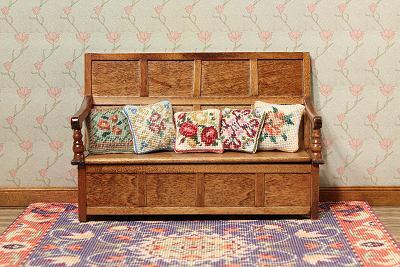 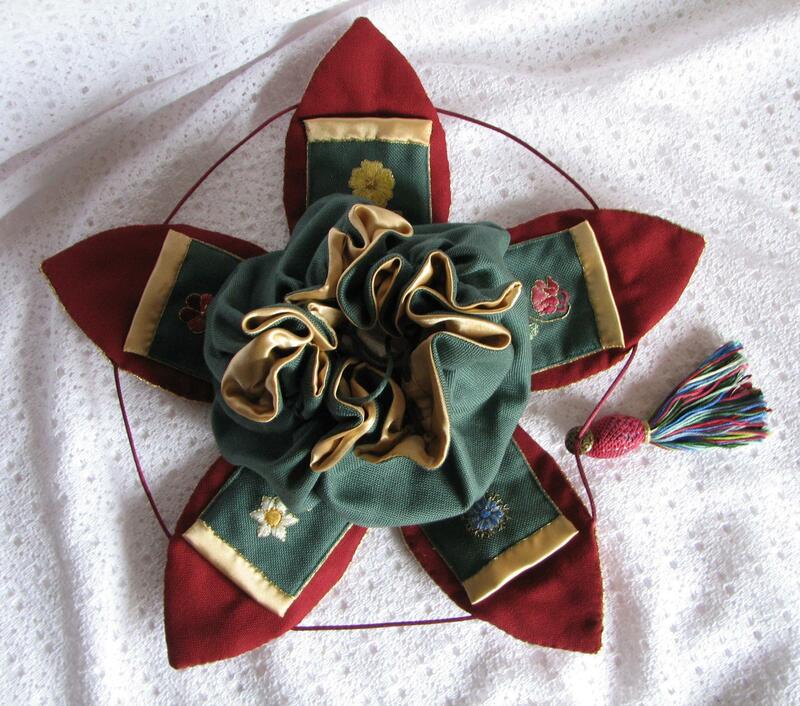 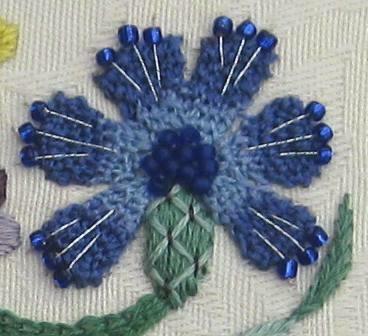 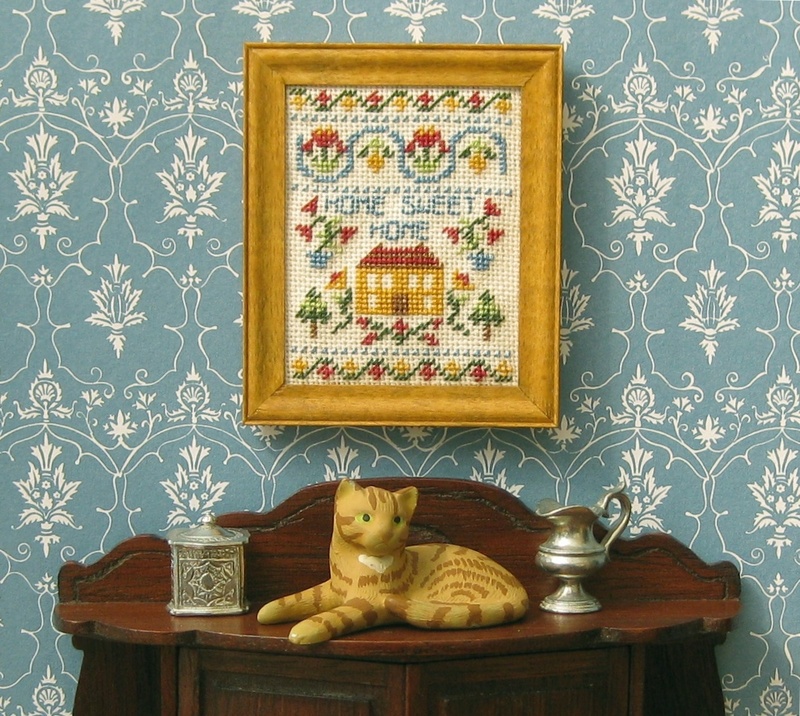 This is a room setting picture that I took a few years ago, of the same design, that I stitched when I first designed it (I always stitch one to make sure that the design ‘works’, and to check how much wool is needed for the kit packet). 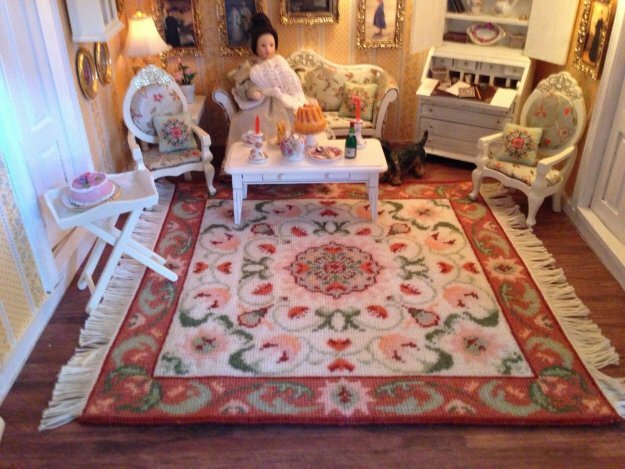 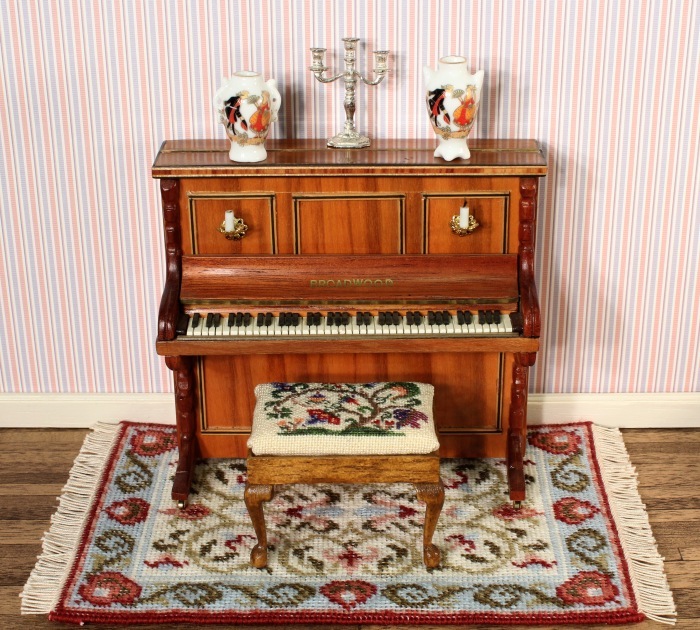 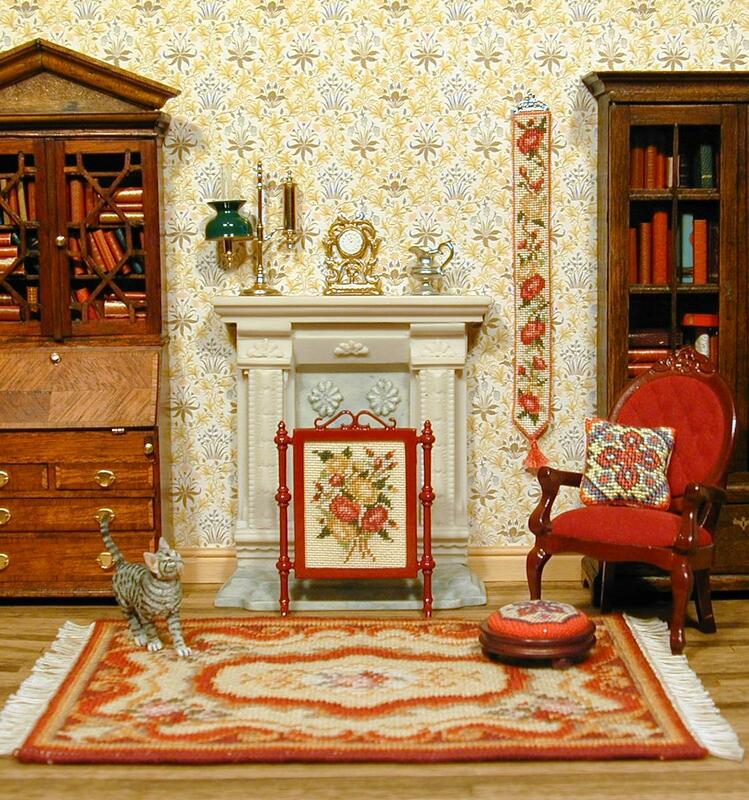 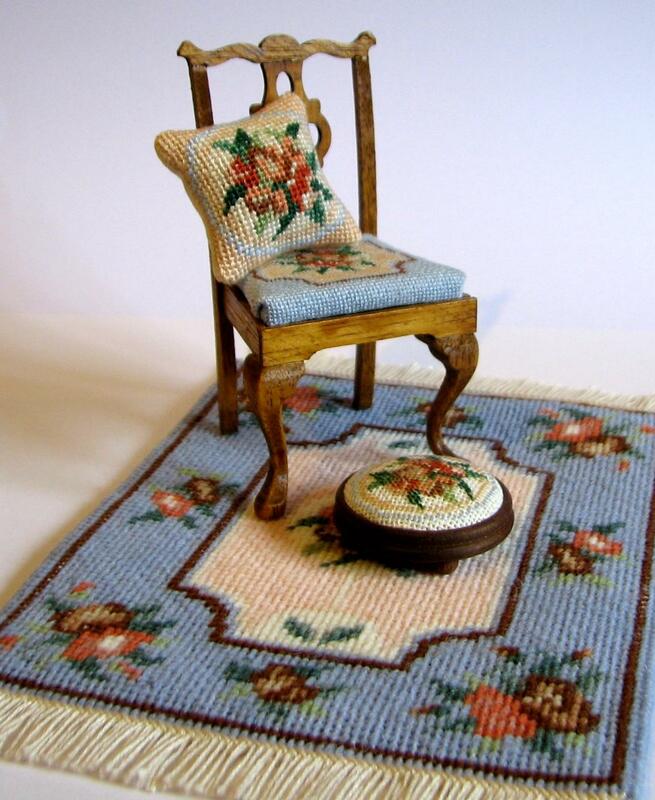 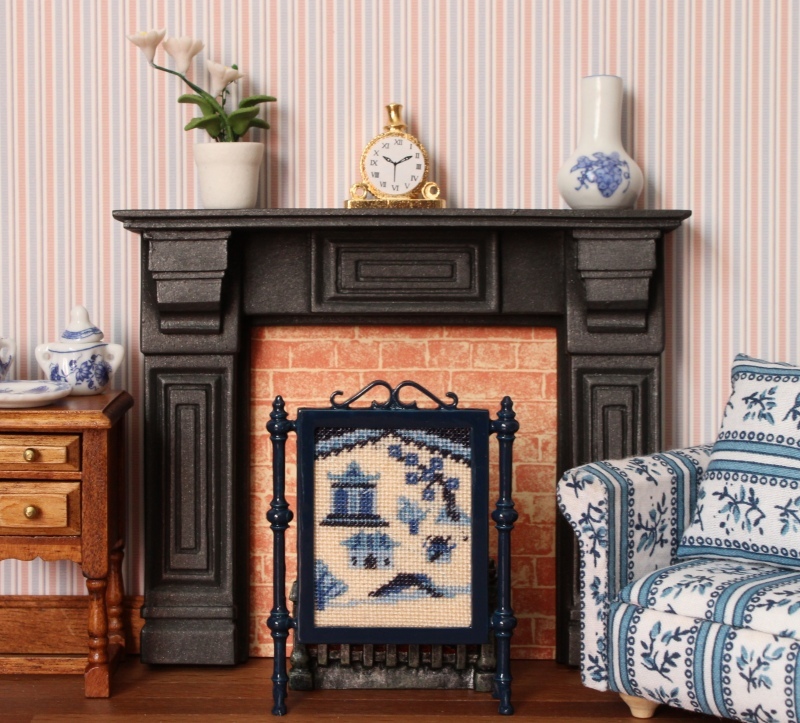 This ‘Prudence’ rug design in 1:12 scale is available as a kit for £19.95 from my website. 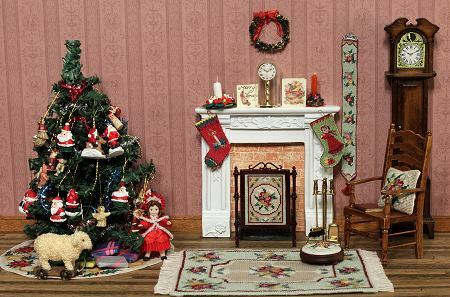 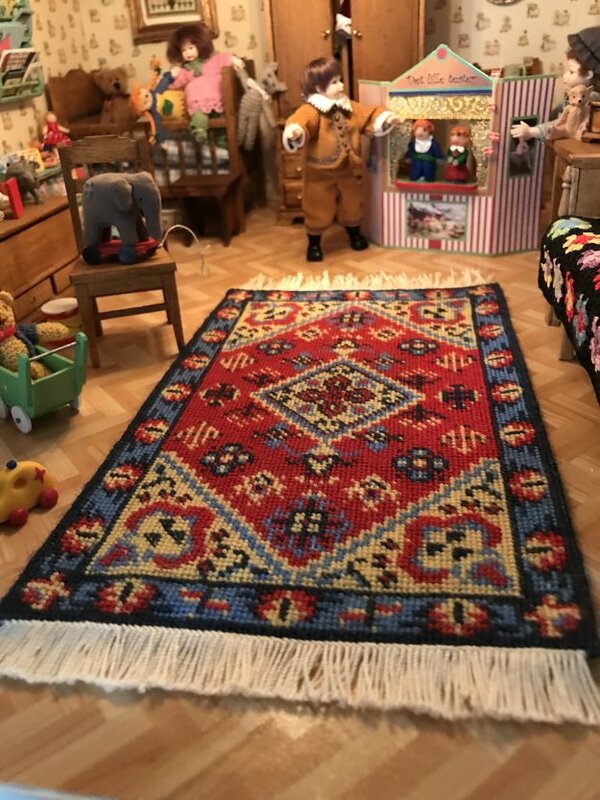 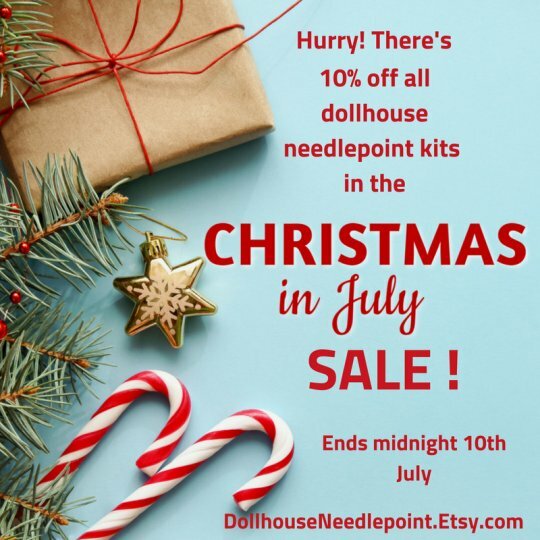 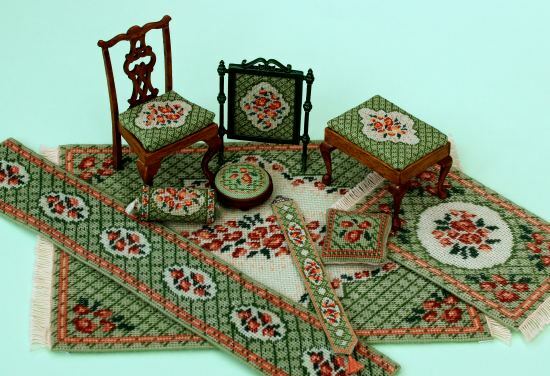 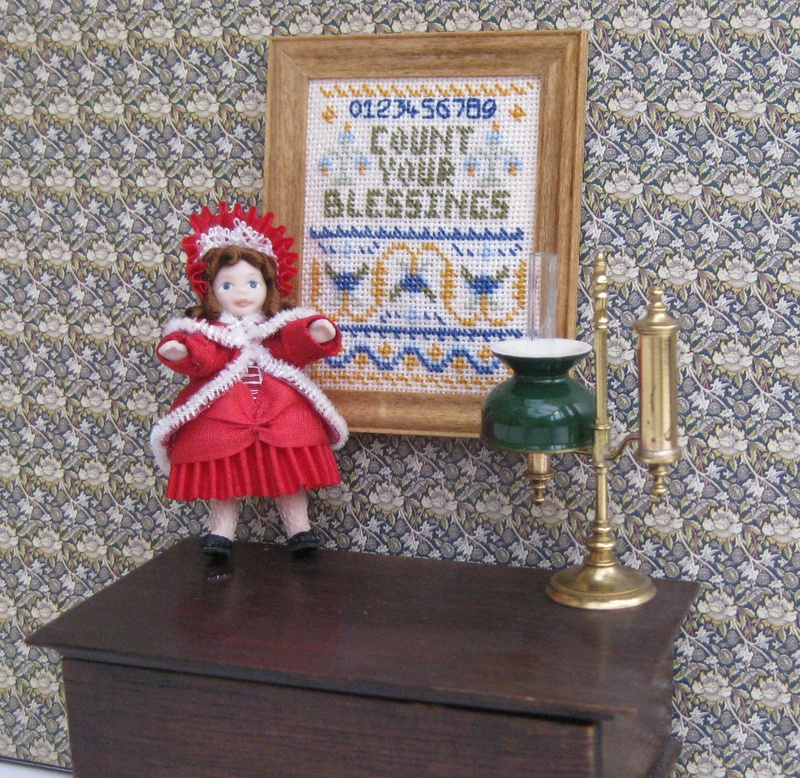 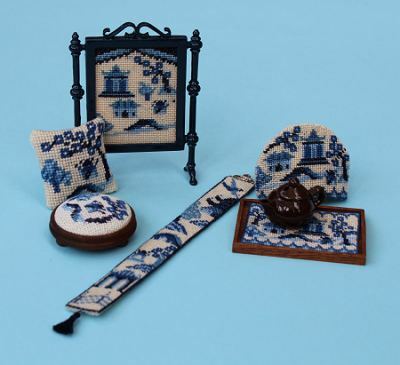 The kit has everything you need to make this dollhouse scale carpet – 18 count canvas, Appleton’s crewel wool, a tapestry needle, colour block chart to count the design from (the design isn’t printed on the canvas), fine thread for the fringe, and detailed instructions. 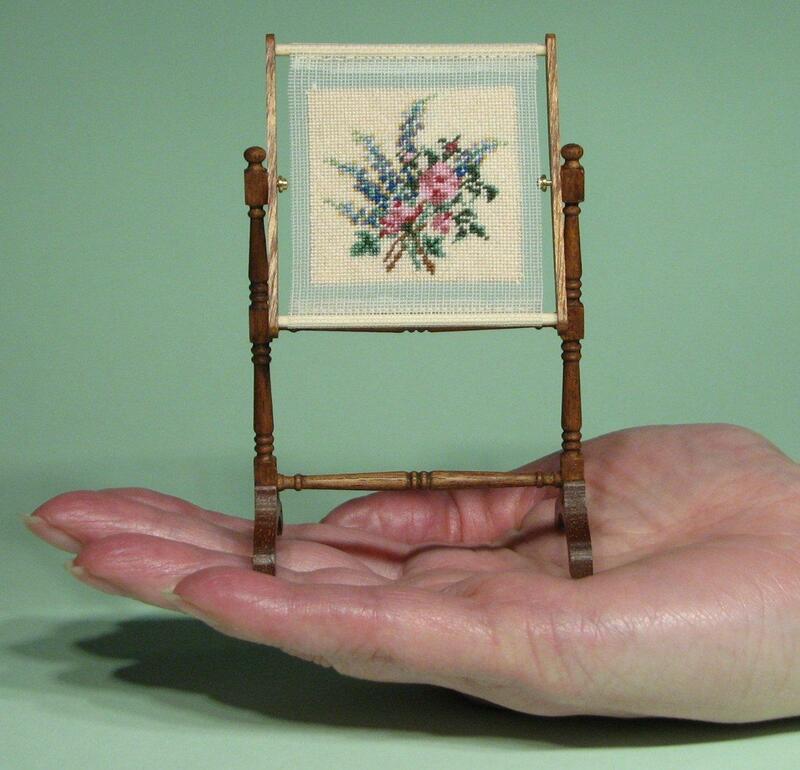 It measures 6 1/4 x 4 1/2 inches when finished. 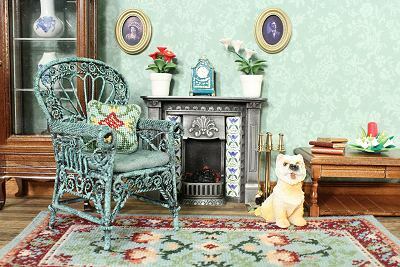 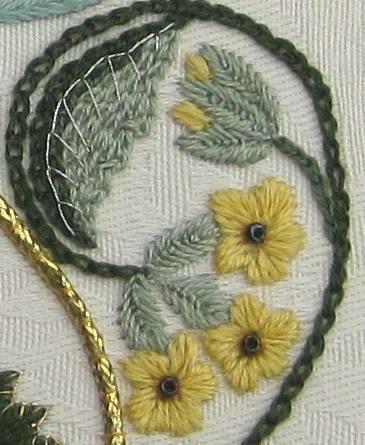 I based the design on a William Morris carpet that I saw in the William Morris Gallery in Walthamstow a few years ago. 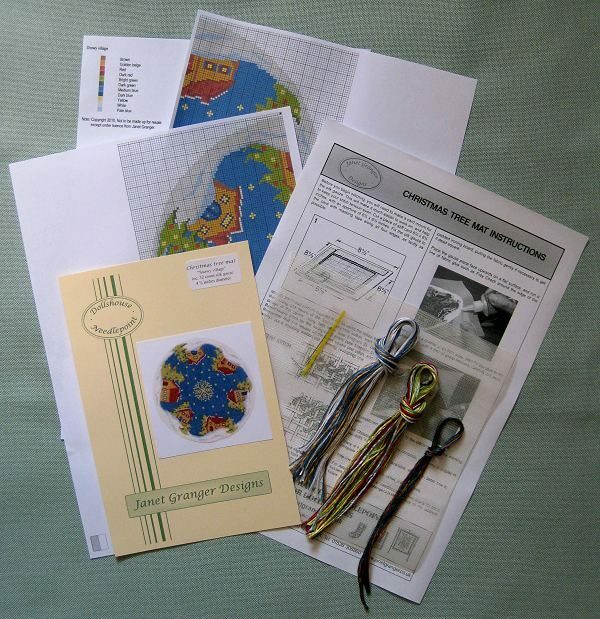 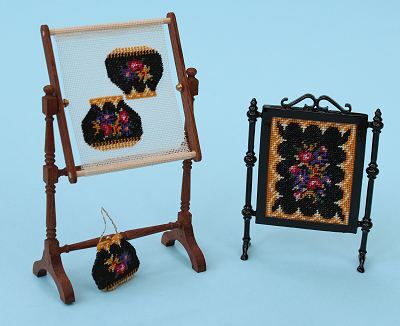 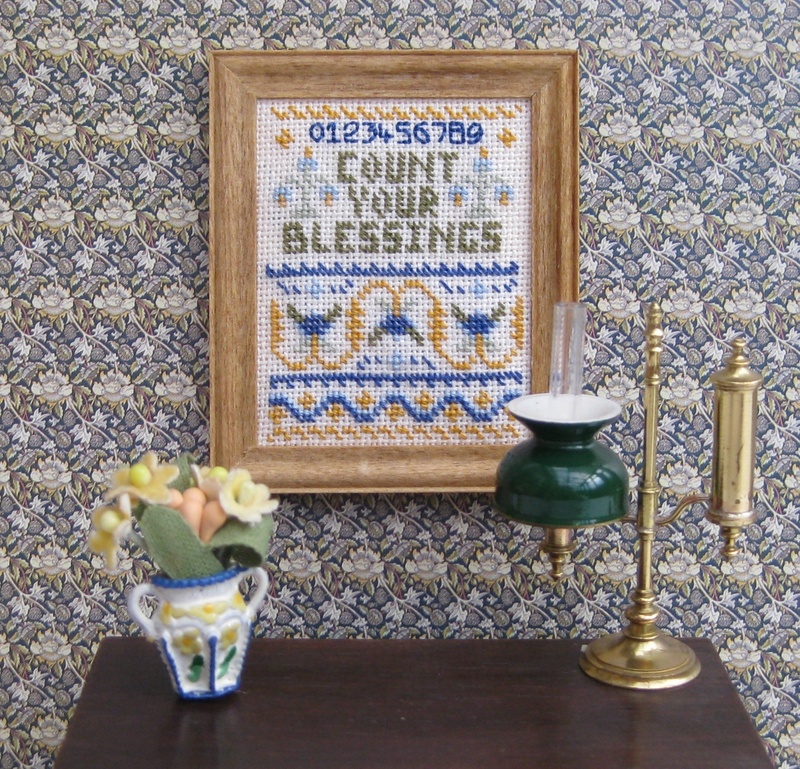 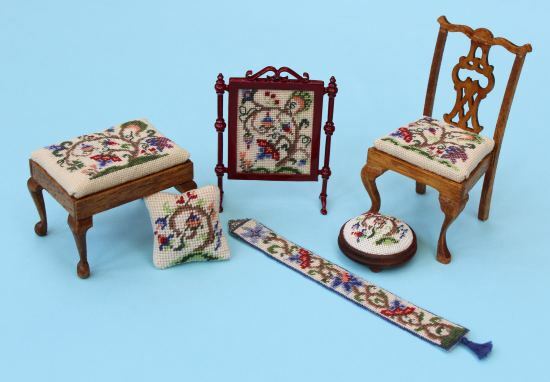 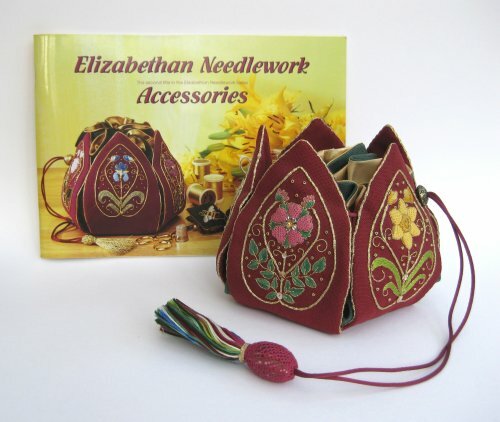 The miniature needlepoint kit would make a great gift for someone who loves the miniatures hobby (whether that’s a friend, or yourself!). 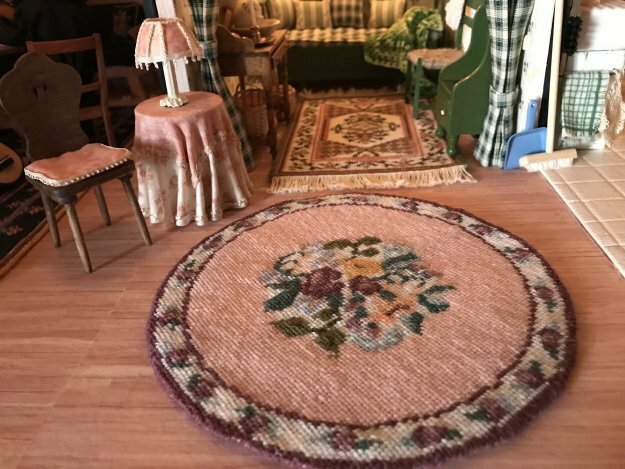 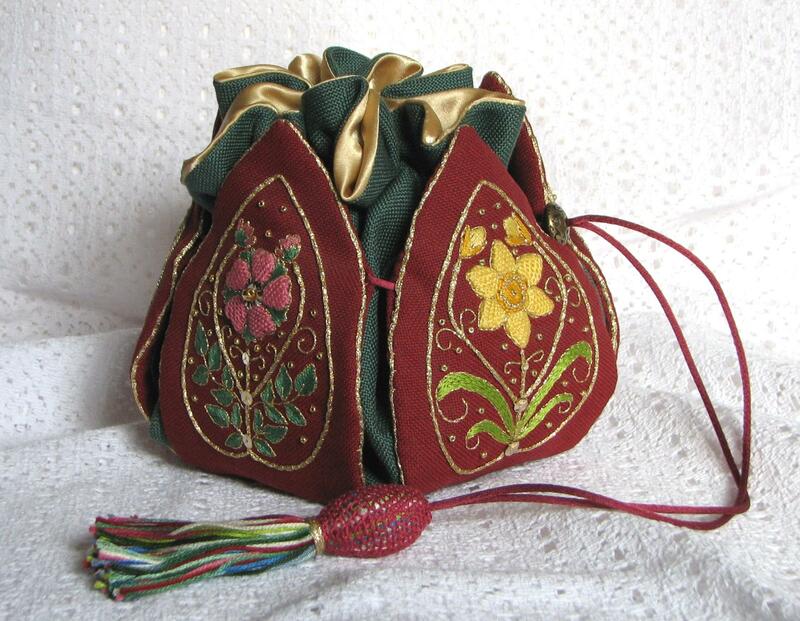 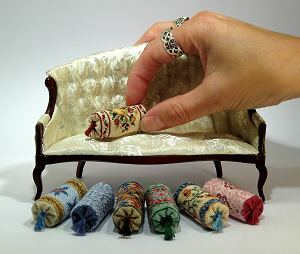 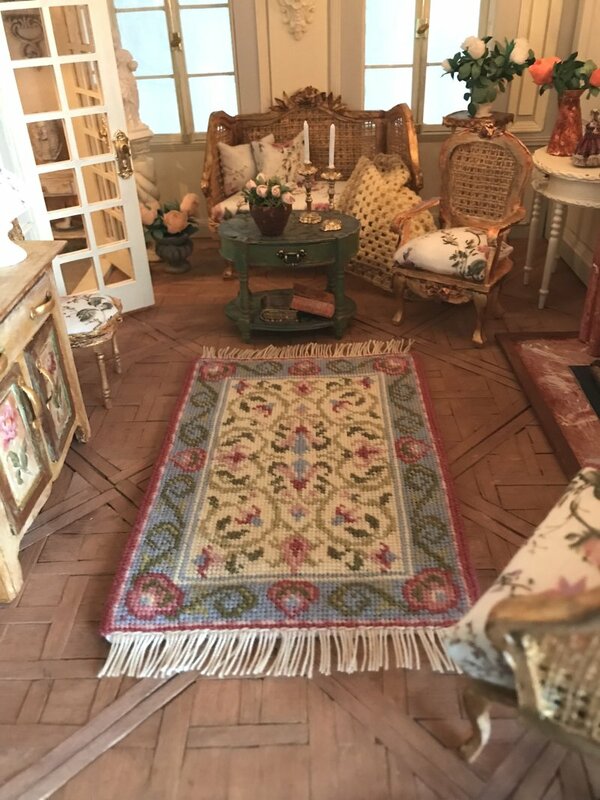 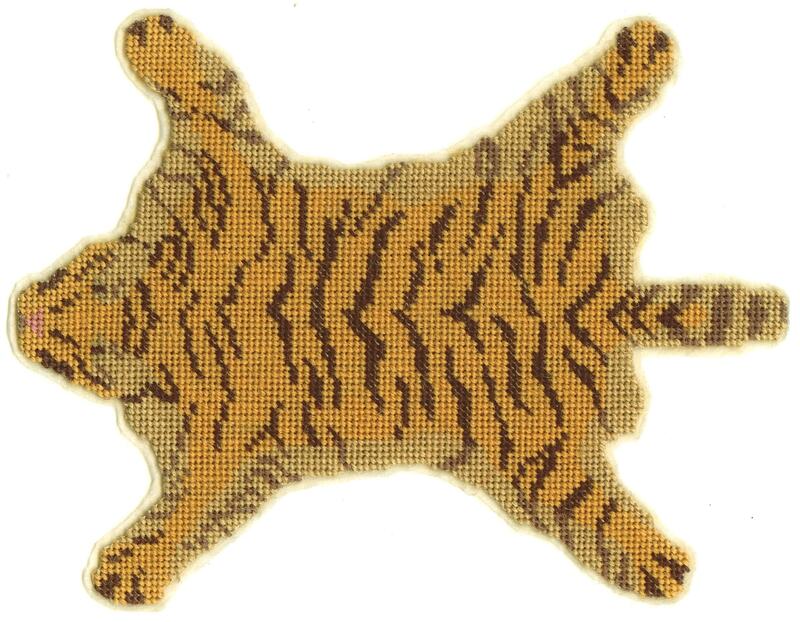 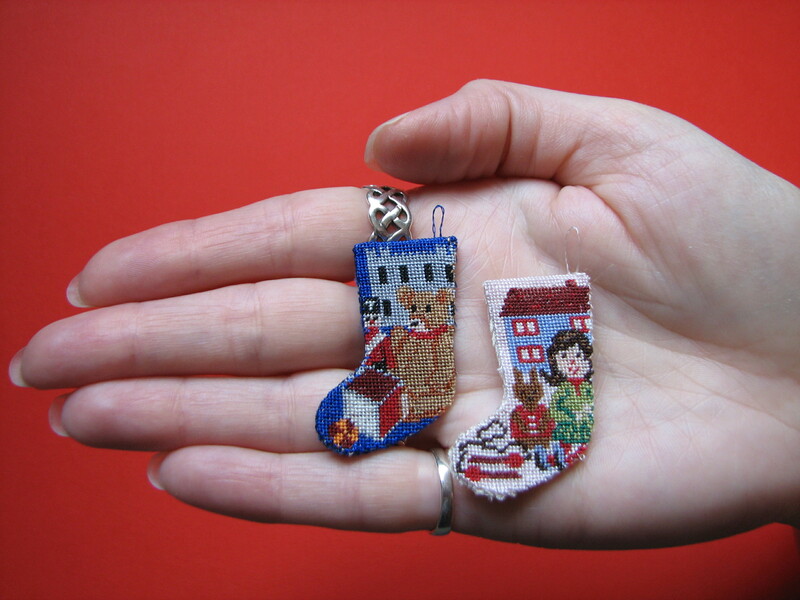 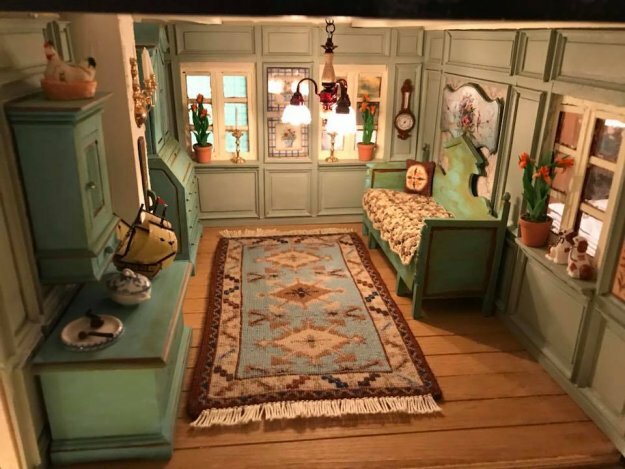 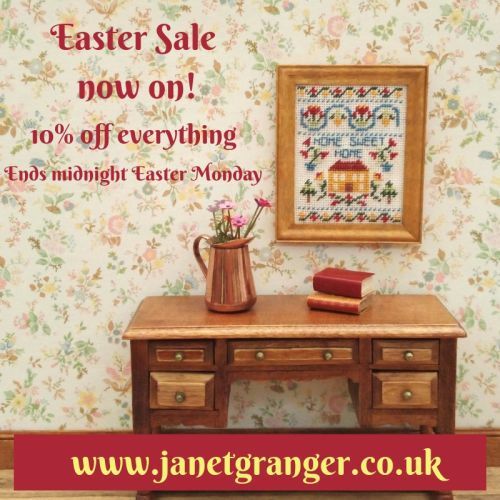 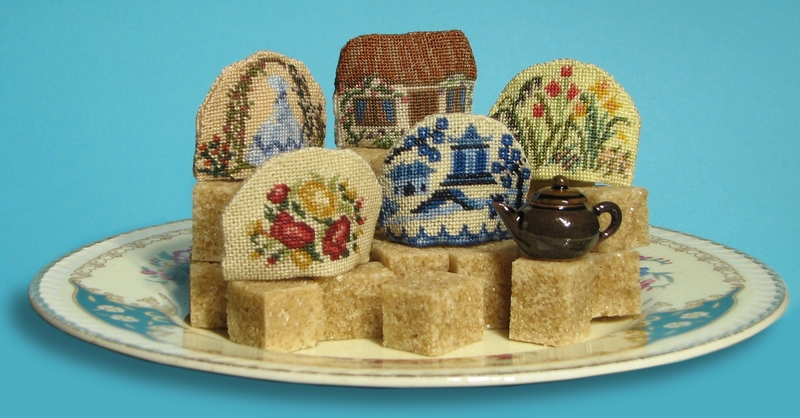 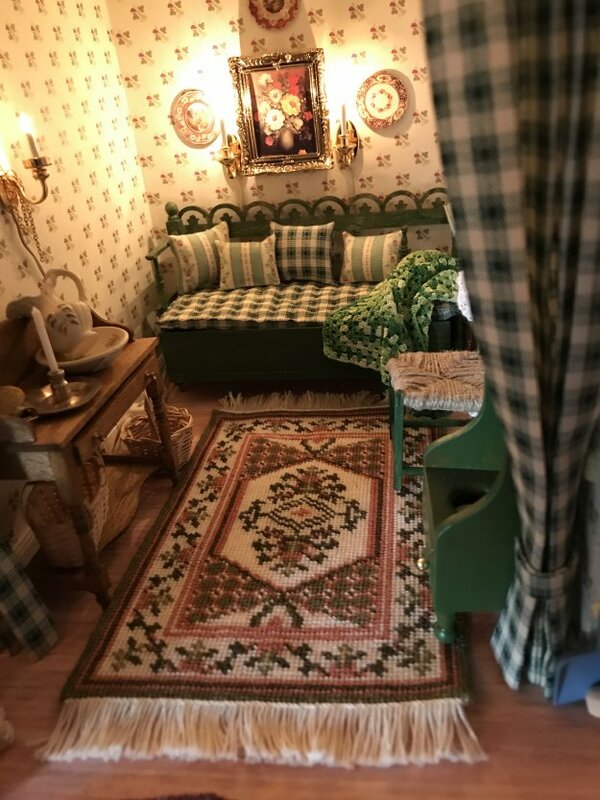 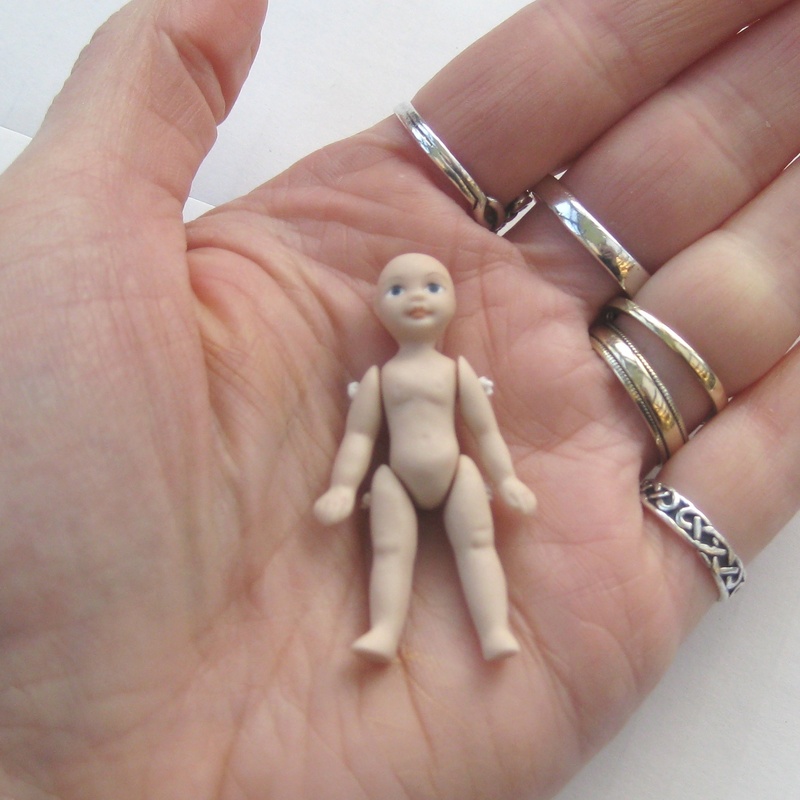 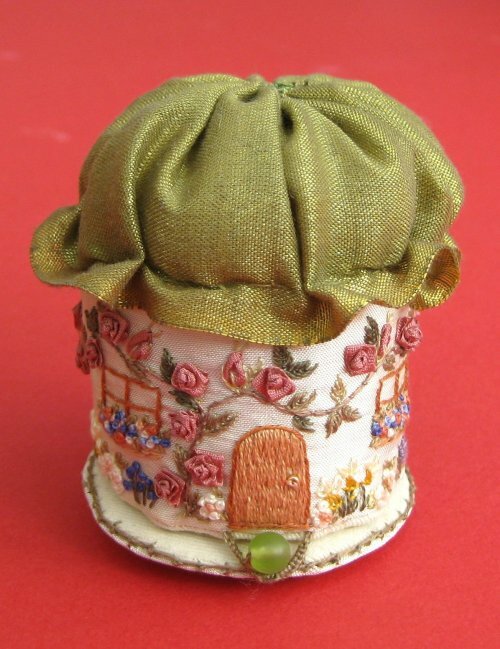 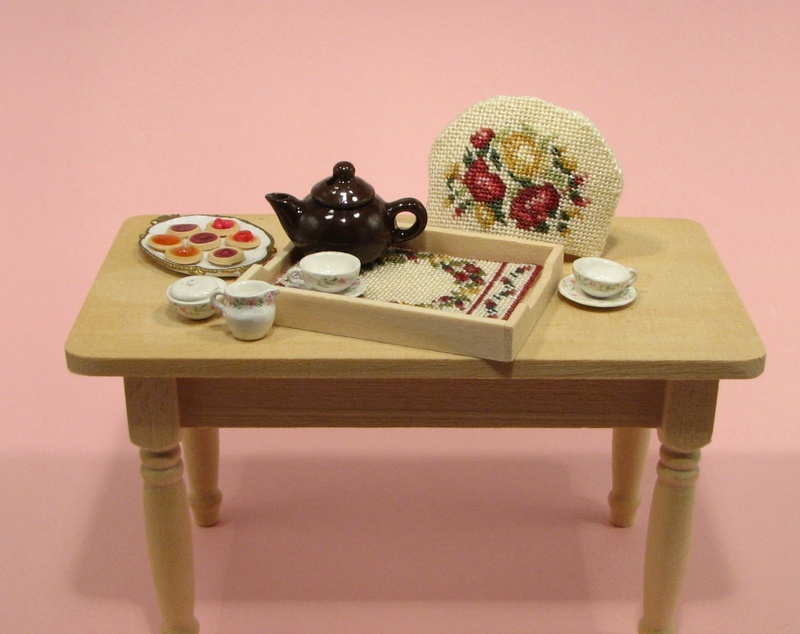 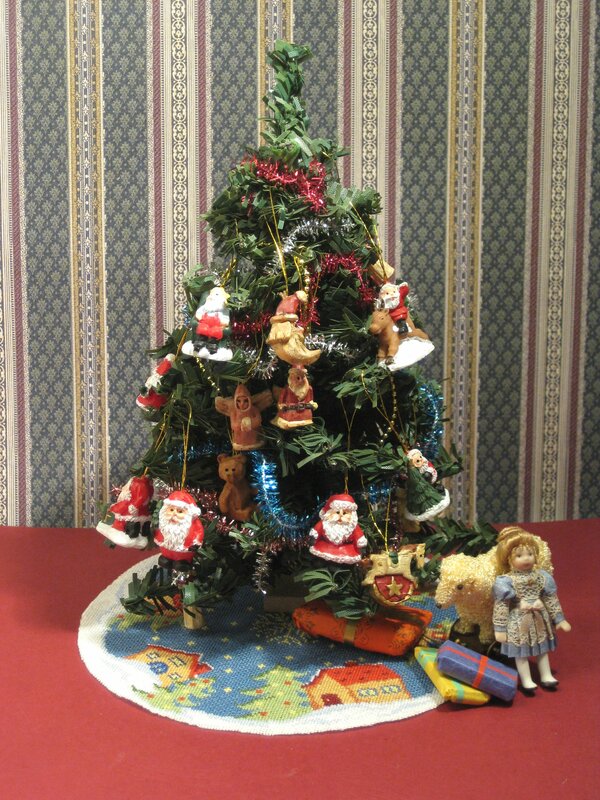 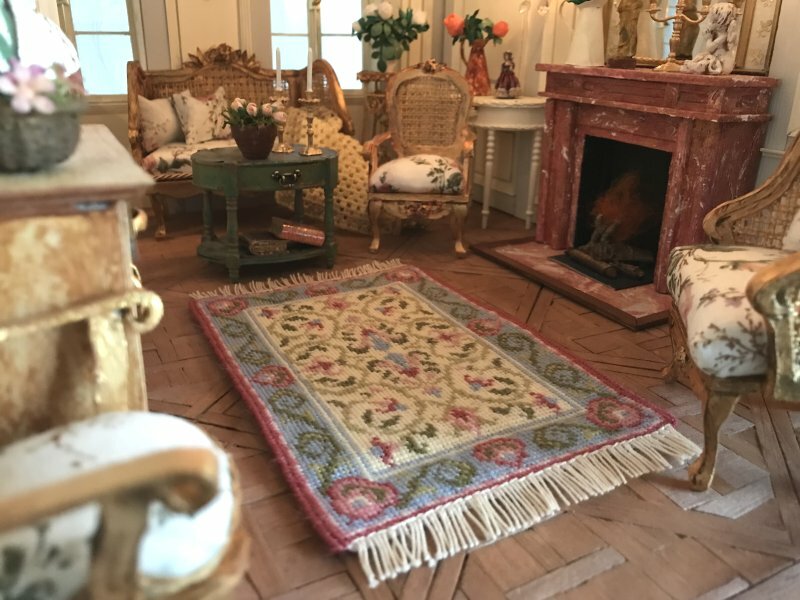 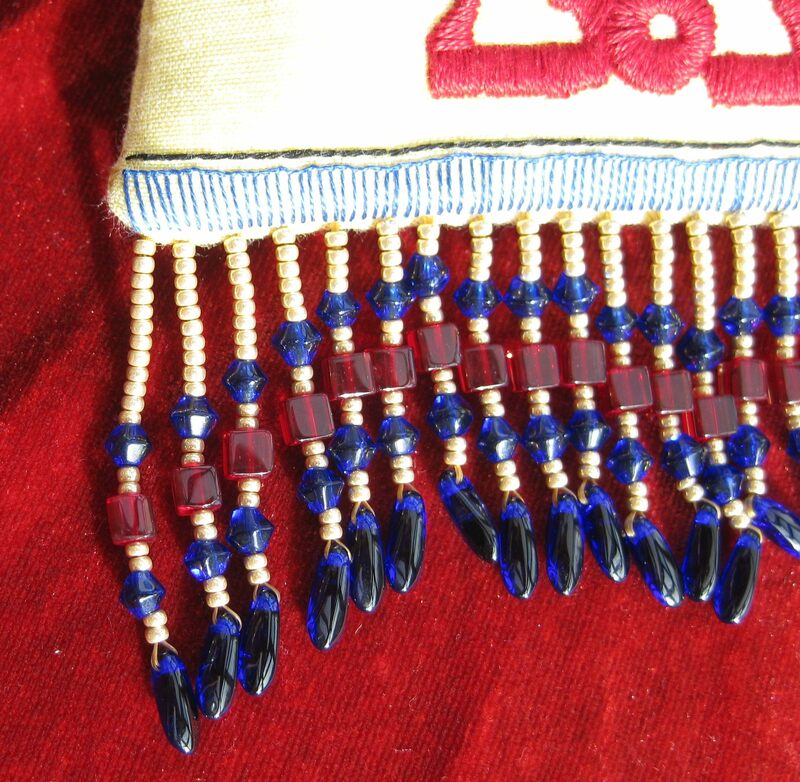 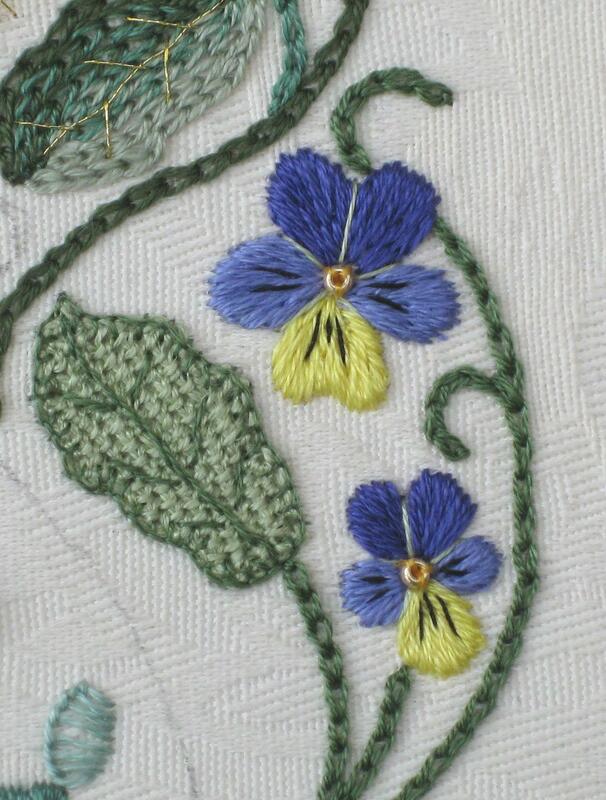 Author Janet GrangerPosted on May 24, 2018 May 23, 2018 Categories Customers' stitchingTags Doll's house, Dollhouse, Dollhouse rug, Embroidery, Miniature stitching, Needlepoint3 Comments on Miniature needlepoint for you to drool over!